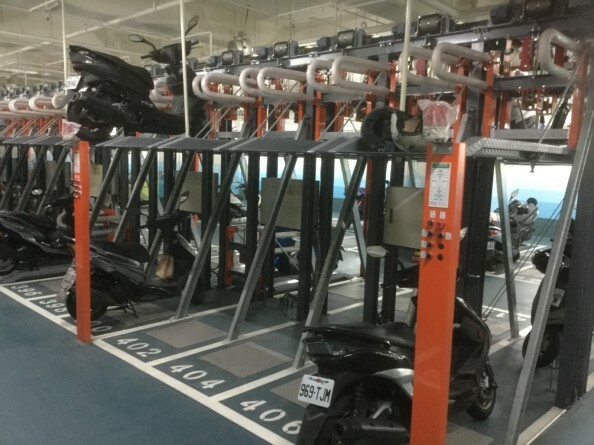 The Moped Stacker parking system allows you to efficiently save space on your project. 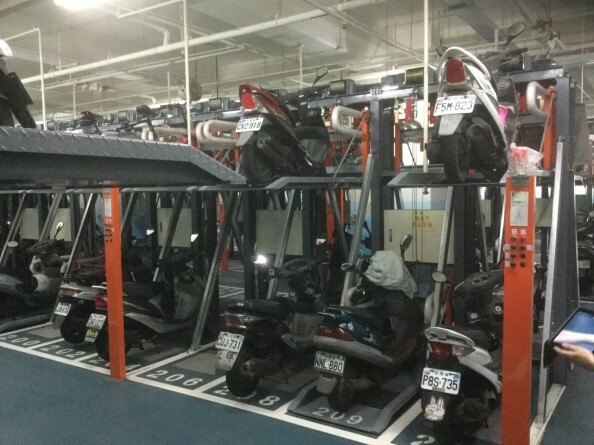 Bikes are parked on a tray that rises in the air, leaving space for another on the ground. A simple push button (Up/Down) operator panel is provided for one-touch operation to retrieve the bike, suitable for public use. The system is designed for indoor, however may be ordered suitable for weather resistant installation. 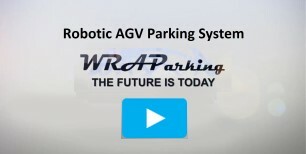 Due to the simple design of the system, maintenance is minimal and the system is very reliable. Electrical usage is very economical and the drive mechanism includes a geared motor for smooth mechanical operation. Installation is easily performed in a minimal amount of space.